We do not carry out pest control in homes and gardens. Please visit the British Pest Control website for information on pests and how to deal with them. This will give you information on wasp nests, ants, rats, mice and most other pests. 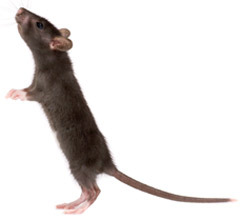 Most privately operated pest control services charge approximately in the region of £40- £70. When choosing a service, it should be accredited by the National Pest Control Association and the British Pest Control Association. Many of these can be found in your local Yellow Pages. We bait the Castle Grounds and other land we own to control the rat population. This does not include council homes. Under the Prevention of Damage by Pests Act, all land owners have a legal duty to keep their land free from rats and mice. There are many types of non-native invasive weeds across the UK. Usually individual landowners have responsibility and widespread control is not the sole responsibility of any statutory organisation. The Environment Agency may seek to control invasive weeds on land/flood defences it owns or maintains. What should I do if I find these weeds growing? DEFRA has a guide on how to deal with Ragwort and the Environment Agency has a guide for invasive weeds such as Japanese Knotweed, Giant Hogweed, Himalayan Balsm, Australian Swamp Stonecrop, Parrots feather, Floating Pennywort and Creeping water primrose.